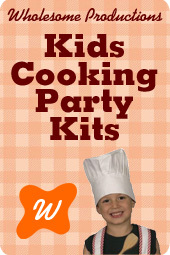 We have lots of birthday party game ideas here for the taking. This is mine and Kim's passion so we love to share games. If you are doing a scavenger hunt, treasure hunt or riddles and want to make it easy try this software. Scavenger Hunt Party Games is another good addition if you plan allot of games throughout the year. Ice breaker games are a great way to start the party. Birthday party game ideas are activities that help kids get acquainted. Once the party gets going and everyone is warmed up, you will find plenty of other activities such as team building challenges and theme based games for your birthday party game ideas. Don’t forget to have a back-up plan. Rainy day options are a must for outside parties. My niece had a party an army party plan, complete with obstacle course. It rained the day of the party, so she had to improvise with indoor games. If your games require a large turn out, make sure to have alternatives for smaller crowds “just in case”. Game time is meant to be enjoyable so don’t sweat the small stuff. Keep it fun and simple. Relax, have a blast and let the games begin! Each person says three things about himself: two of which are true and one of which is a lie. Then the children, who are sitting in a circle, take turns telling their three things out loud. Once the child has named the three things, the others guess which one is the “lie” by raising their hands when they think the lie is told. This birthday party game idea is a great way for children to get to know each other. This is a fun game that requires the children to pay attention to each other in order to catch on. See suggestions below for ideas for changes that can be made to fit your party theme. The children and one adult sit in a circle. The adult starts the game. Let’s say the adult’s name is Mary. She says, “My name is Mary, I am going to Jamaica and I’m taking my music.” “I can go,” she adds. The next child is to repeat except using his or her own name and picking something they will take. The adult will determine if they can go. The secret object of the game is to take an item that begins with the first letter of their name. As the players are told if they can go or not, they should begin to catch on. The object of the game can be changed. For instance, at a Bee movie party, the object can be to take something beginning with a “B” or that pertains to a bee. For a Disney party, it could be items that are related to Disney characters like a honey jar (Winnie the Pooh) and a slipper (Cinderella). For a space party, you could use items found in space such as rockets, stars, etc. The sky is the limit so use your creativity and have fun! For each round, this person must choose a secret word: any person, place, or thing. The person can be living, deceased (a famous person in history), or fictitious (cartoon or movie character). The place can be anywhere in the world. The thing can be an object, an animal, a food, etc. Basically anything can be chosen, but try to make the selected item something that can be guessed fairly easily. After the person has chosen a person, place, or thing, the guessing begins! The other players take turns and ask “yes” or “no” questions in an attempt to figure out what the chosen answer is. That is, the questions must be answered with simply “Yes” or “No.” After each guess, keep track of the number of guesses until it reaches the limit of 20.Once 20 questions are used up, players may not ask any more questions. If a player correctly guesses the object before then, they become “it” for the next game and choose the next person, place, or thing. Otherwise, the secret answer is revealed. * This game can be changed a bit for younger children by giving them a flashcard that is made by gluing a picture onto an index card instead of having them think up something. The questions can be limited to five or ten to simplify as well. *Customize the game to fit the them of your party! Have the children make their secret work relate to the theme. Star Wars themed party member could choose words like Luke Skywalker and a light saber while a Shrek party guest might go for words like donkey or princess.